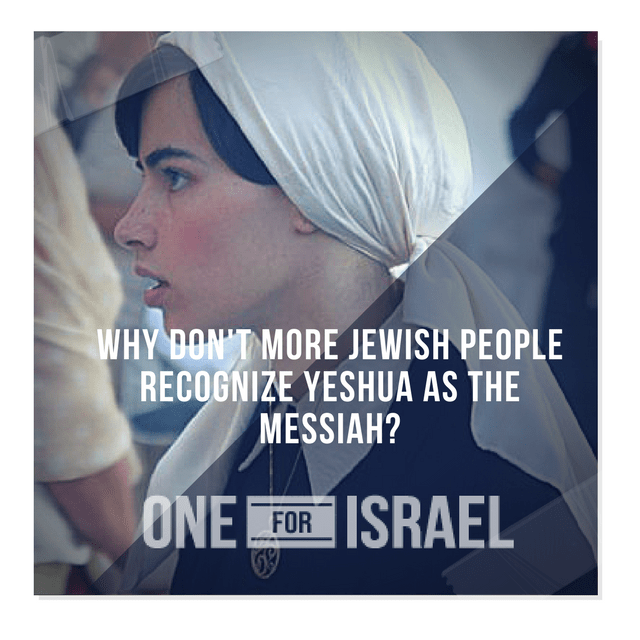 Why Don't More Jewish People Recognize Yeshua As The Messiah? 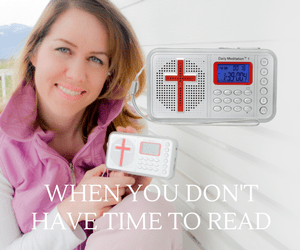 Home Effective Evangelism Why Don’t More Jewish People Recognize Yeshua As The Messiah? It can be bewildering considering that Yeshua the Messiah was an Israeli-born Jew, grew up in a Jewish community, practiced Jewish laws and customs, worshiped God at the Jewish Temple, his original followers were Jewish, and that all of his teaching was based upon and rooted in the Jewish Scripture that so many Jewish people find him incompatible with Judaism… but actually the good news is that there have always been Jews who believe in Jesus. In fact, at first, it was only Jews who believed in him, and today there hundreds of thousands of Messianic Jews, even though they are still in minority compared to non-Jewish followers of Jesus. If you read Acts 15, for example, you will see that back then a different question was asked: “Is it possible for a Gentile to follow the Messiah of Israel?” So why do we often hear today that “Jews don’t believe in Jesus”? First of all, most Jewish people today don’t really know what following Jesus is all about. Many believe that Jesus was the founder of a new religion called Christianity, a idolatrous religion for the Gentiles that worships three gods instead of one. Unfortunately the only versions of Jesus many Jews know today are what look like idols – carved images portraying the baby Jesus of Christmas, or the one still hanging on a cross. They often see him as a false prophet, the illegitimate son of a carpenter, who founded a new religion for the sake of which many Jews were persecuted and killed; the Jesus of the murderous Crusades and the brutal Catholic Inquisition. You may be surprised to know that even the Holocaust is perceived by many Jews as something that was done in the name of Christianity, as Hitler used quotes from the Bible and Martin Luther to justify his wicked plans. The sad fact is that many so-called Christians have indeed committed atrocities against Jews in the name of Jesus. So, is it such a surprise that many Jewish people do not want to have anything to do with Christianity the way they know it from history? That said, the truth is that many Jews have a very distorted and warped picture of Christianity and Jesus because they have never seriously studied the issue and never read the New Testament. Indeed, it is considered forbidden and even dangerous to do so. In the Religious communities if anything is taught about Jesus, it is often very biased, negative and sometimes completely untrue. One of the most serious theological objections to Jesus is the issue of the nature of God, the deity of Jesus, God having a son; the Trinity. For many Jewish people the New Testament sounds like a completely foreign religion that contradicts the main tenet of Judaism – God is one. In reality it is not a contradiction, and although the trinity is extremely hard to understand, it is also found in the Old Testament, where we can find the Father, Son and the Holy Spirit existing together. The problem is that the mainstream Judaism today is not so much Biblical Judaism but so-called Rabbinical Judaism where the Rabbis have made changes in Judaism to adjust to a new reality – no Temple, no sacrifices, living outside of Israel. They have chosen the Talmud and Rabbinical writings as the main guide for the Jewish faith and practice, and many Jewish people do not have a good understanding of what the Hebrew Scriptures actually teach about sin, faith, and the person of the Messiah. Another big stumbling block is a common erroneous belief that if a Jewish person comes to faith in Jesus he is no longer Jewish, that is, a person is either Jewish or Christian, but not both. There is often great pressure in families and communities on those who accept Jesus as the Messiah. The cost of following Jesus often times involves separation from friends and families, intimidation, humiliation, loneliness, being called a traitor to your own people. In fact, there is evidence that religious Jews were taught to curse Jewish people who became followers of Jesus. In some circles this is still practiced today. Over the centuries the church has failed to present Christianity as what it truly is – a living relationship between God and His people (both Jews and Gentiles) through Yeshua the Messiah – and that in its roots it is thoroughly Jewish. Through physical birth a person is either Jewish or a Gentile, but through spiritual birth both a Jew and a Gentile become followers of Yeshua the Messiah. The Bible itself explains why it is hard for a Jewish person to accept Jesus. Romans 11:25 says that, “Israel has experienced a hardening in part until the full number of Gentiles has come in.” The good news is that at the end the Jewish people will turn back to him as a nation and that, “all Israel will be saved”(11:26). It is hard to imagine what that will look like, but it is written in the Word of God, and it can only be good! Jesus is the Jewish Messiah. Believing in Him is the most Jewish thing a Jew can do. We need to explain to our Jewish friends that when a Jewish person accepts Jesus as the Messiah he becomes more Jewish than ever before and his Jewish identity will be deepened, and his love for the God of Abraham, Isaac and Jacob and a passion for the Jewish Scripture will be restored and renewed. Martin Luther became strongly anti-Semetic later in life and wrote the book, “On The Jews and Their Lies”.